We were walking across the bridge (here in Northfield) to get to the pizza place (that was too busy to dine in) when we came across the Erbert & Gerbert sandwich shop closing (for good) but look who we saw below. I will just call this disappointment. 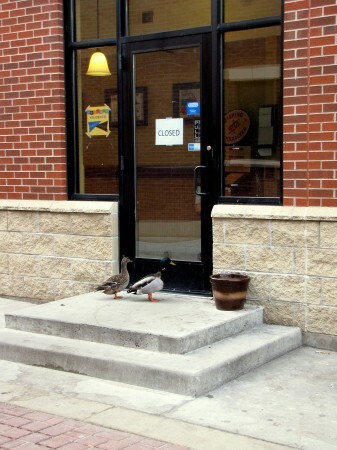 He was just trying to take the missus out for a nice date… I am sure they found a better restaurant close by.